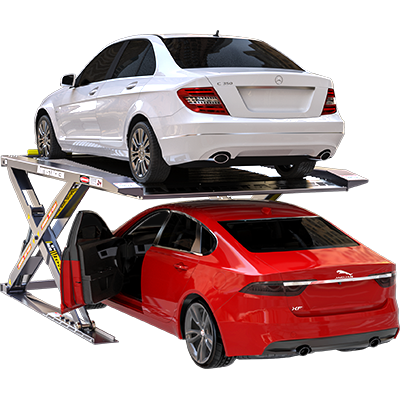 BendPak Lifts – Autostacker Parking Platform Lift – PL-6SR – 6,000 lb. Lifting Capacity - Gary Bloom Sales, Inc.
For so many reasons, this is the ultimate parking lift for homeowners. It’s the safe, discreet and ultimately ideal tool for stacking your most-valued machines. Its slim nature also makes it perfect for commercial parking lots, indoors or outdoors, because more parking units are able fit in less space. This provides a welcome way to increase profits without having to excavate or purchase pricey real estate. The best thing about Autostacker is that it doesn’t sacrifice ruggedness and capability in exchange for its slimmed-down design. Everything about this lift is industrial-grade. The 6,000-lb. capacity wide-platform galvanized deck offers 80 incredible inches of overhead clearance when the platform is raised to the max lock level, which creates more than enough room for most high-clearance trucks and SUVs. 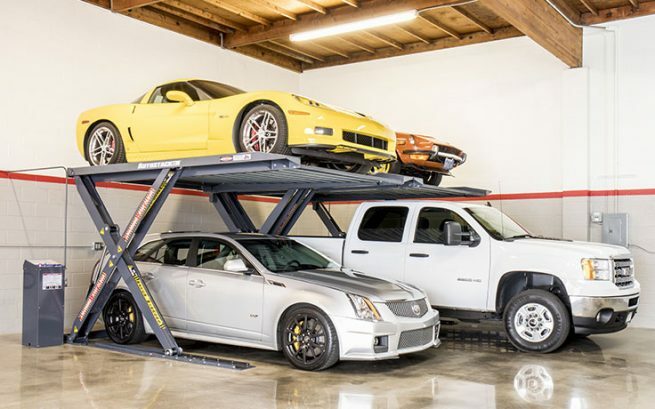 Even low-ceiling garages are able to comfortably accommodate two low-profile vehicles, and spaces with more overhead clearance can accommodate almost anything in the lower level. Autostacker is a division of BendPak Inc., but it’s so unique, we knew we had to let it stand apart all on its own. For the most detailed information on this amazing lift, please visit www.autostacker.com. Autostacker is made to fit comfortably in a single parking space. It’s able to do this thanks to unique design innovations. 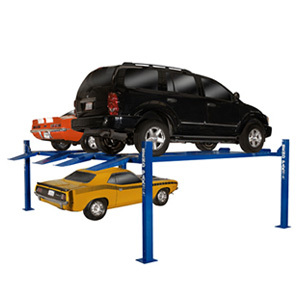 It doesn’t have any of the side posts found on virtually every other parking lift on the market. The galvanized deck is inclined toward the back of the lift, so low-riding cars are never at risk of scratching the front bumper. This also lets us keep the approach ramp shorter, further reducing the lift’s footprint. If you’re pulling in front-first, our patented Door-sentry™ rubber door protectors, built right into the structure of the lift, will prevent dings and dents from accidental door slams. All these features, and many more, make Autostacker the most innovative and user-friendly home lift ever made. Massive, dual hydraulic cylinders, one on each scissor superstructure, power the lift from underneath the vehicle. 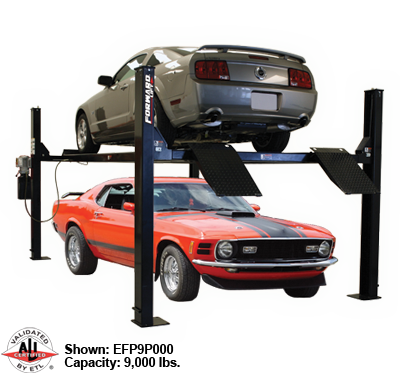 This eliminates side-loading, which in turn reduces maintenance over time and significantly extends the lifespan of the lift. 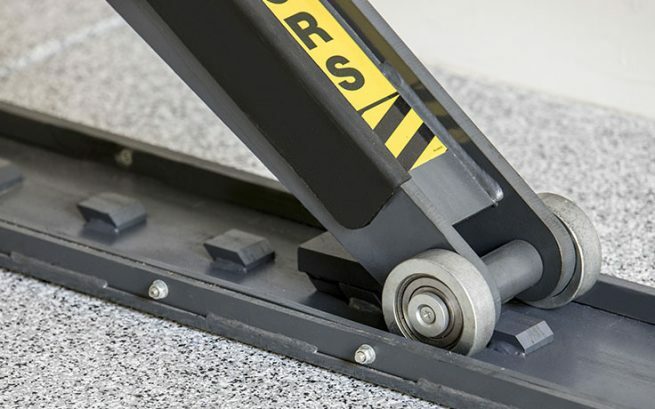 Autostacker’s base support is just enough to keep the lift stable without adding unnecessary steel that simply clogs up your floor space. 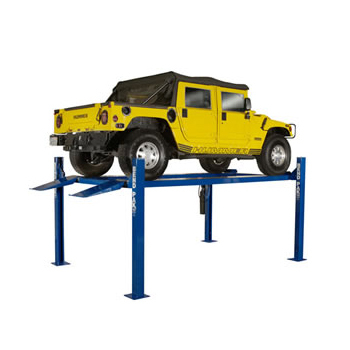 The parking lift is over-engineered to easily handle the rated 6,000-lb. 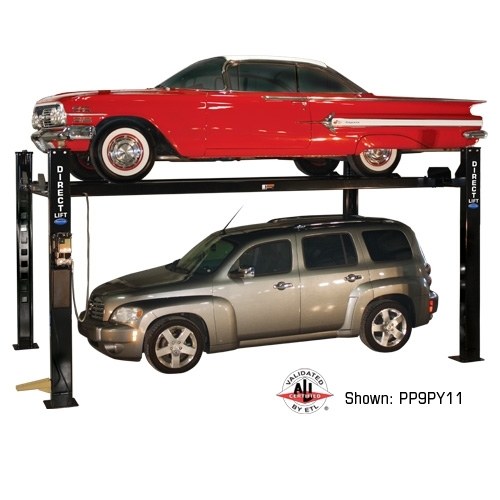 lift capacity, and the two-post structure never wobbles or shakes during operation. A cantilevered torsion bar extends off the lift and contains the push-button UP and DOWN controls. This ergonomically designed console is extremely safe and easy to use. 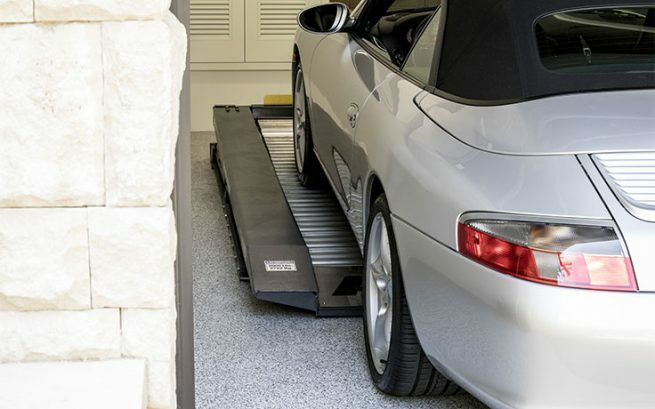 Always keep an eye on your surroundings before and during car lift operation. 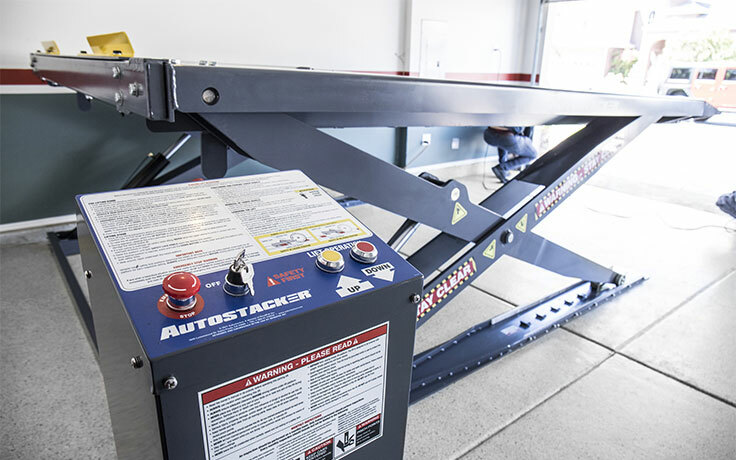 For commercial lots, dealerships and other ventures looking to significantly increase their home or business parking capacity, Autostacker can provide an optional, industrial-sized power unit capable of powering up to 14 parking lifts. Each lift will be outfitted with a proprietary key-activated lift/descent button, limiting the amount of hydraulic fluid required while maximizing space and efficiency. There are significant cost savings as well compared to buying 14 individual lifts and power units.